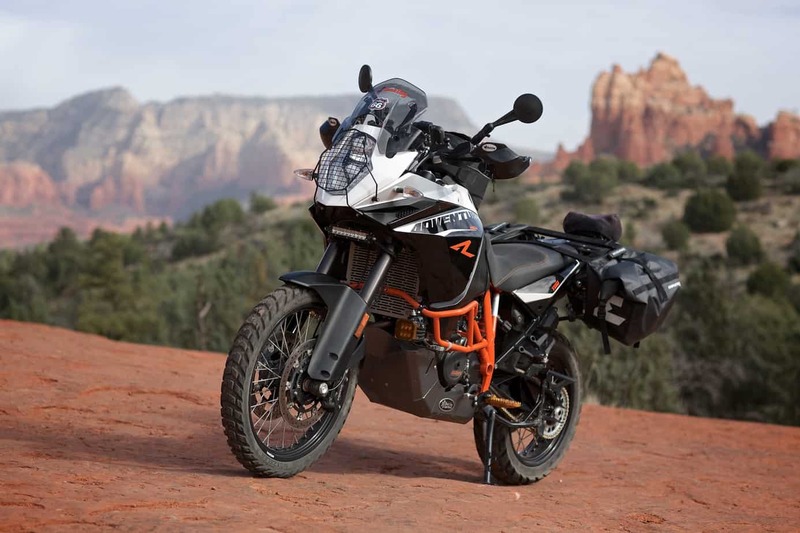 The launch of the new KTM 1190 Adventure R established a new benchmark of performance for the entire segment, while also improving touring comfort and refinement. 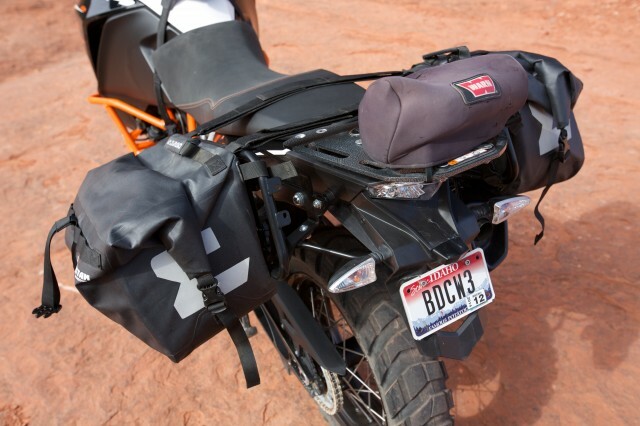 Overland Journal had the opportunity to test an early production unit owned by Black Dog Cycle Works in Idaho. 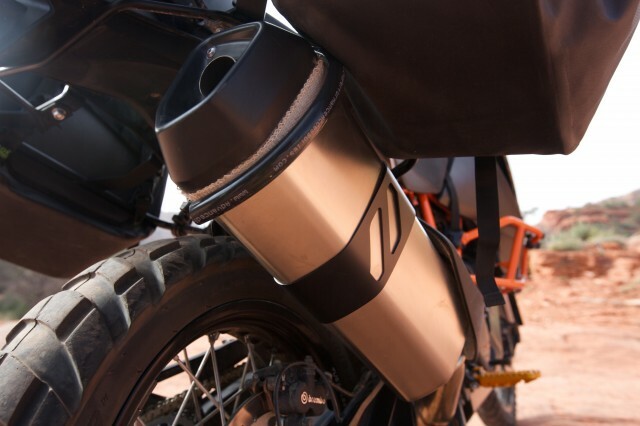 We rode the 1190 in both Death Valley and in the mountains of central Arizona, evaluating the performance of the bike and the long list of aftermarket accessories installed. 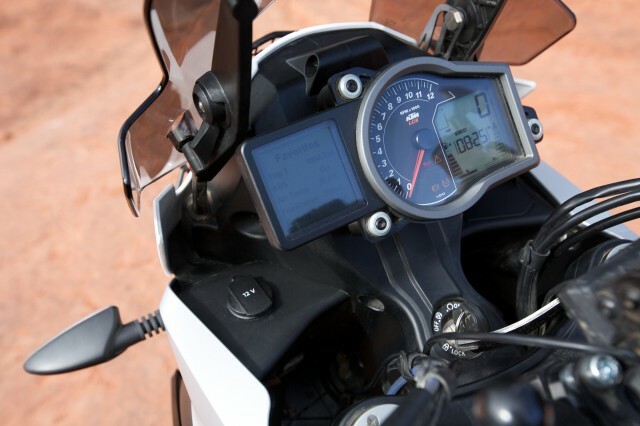 Our primary objective was to compare the KTM against other offerings in the segment, including the BMW 1200GS, Triumph 1200 Explorer and the Yamaha Super Tenere. 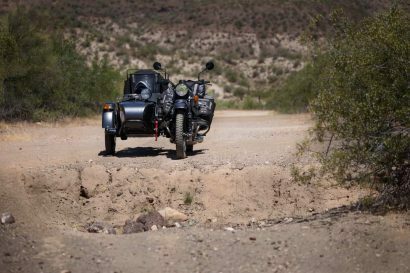 The results of that test are available in the spring issue of Overland Journal. 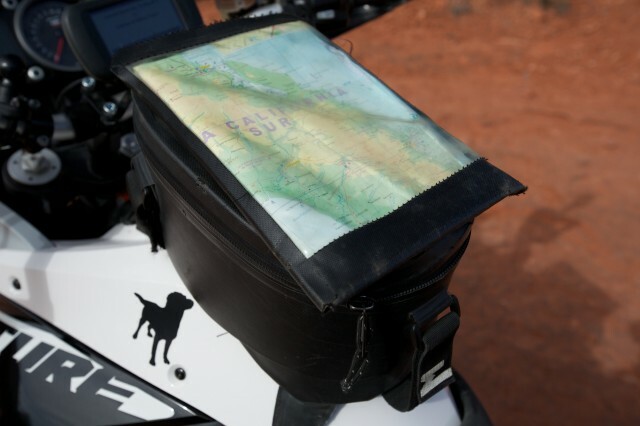 Kurt and Martha Forgét are both passionate adventure riders, with an emphasis on the more technical uses of these bikes. 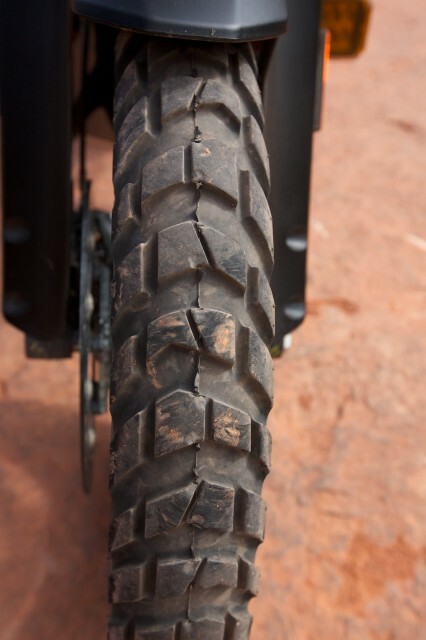 As a result, their product design favors extreme duty, their skid plates earning full “bash plate” status, intended to survive all but the most insane impacts. Their other products are extensive, but primarily focus on ergonomics, lighting and luggage. 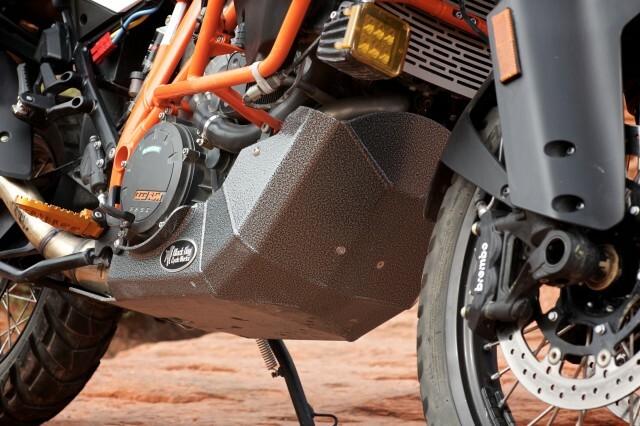 This 1190 KTM is the most exciting adventure motorcycle we have ever tested, nearly matching a Ducati Multistrada for street performance, while thoroughly outrunning everything else over 800 CC in the dirt. 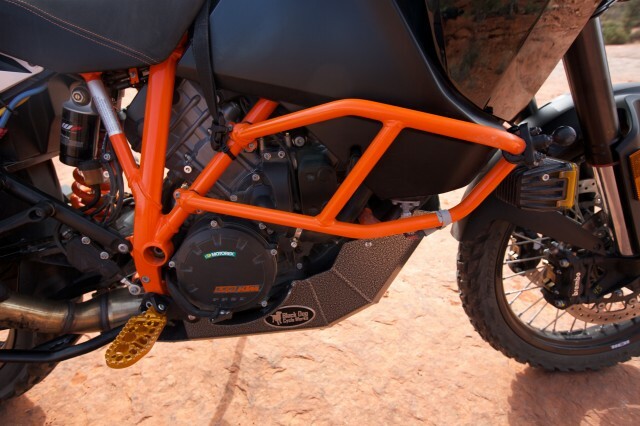 KTM has set the gold standard for dirt-oriented adventure motorcycles since its 1998 launch of the venerated 640 and subsequent 950. These bikes were unapologetic in their intent, which was to maximize technical terrain performance while reserving just enough to allow for stability and basic comfort on the pavement. The new 1190 Adventure R, with its advanced traction control, ABS, Motorcycle Stability Control (MSC), and a 150-horsepower twin, pushes the limits of technology, power, and design, and honors its heritage. 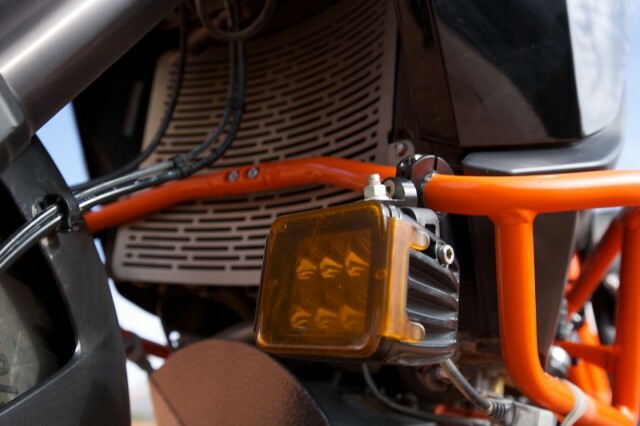 With the high-revving twin engine launching the bike from 0 to 60 mph in 2.8 seconds (1/4-mile in 10.6 seconds), the KTM 1190 is violently fast. 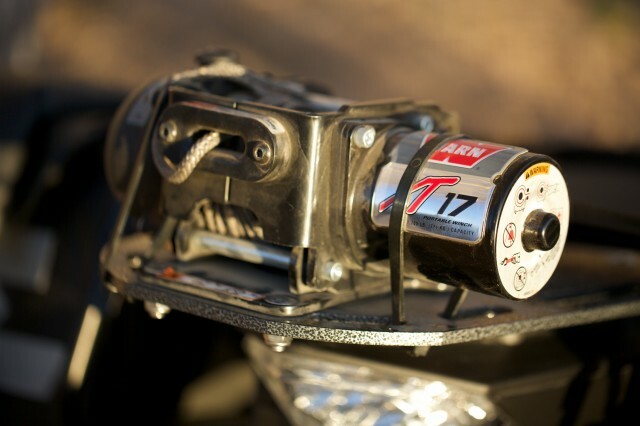 This is nearing superbike territory, and the ample power makes it a thrill to ride from trailhead to trailhead. The redesigned seat is the most notable comfort improvement over the outgoing 990; heaven compared to previous implement of torture. Despite these improvements, it lacks cruise control and implements a chain for final drive, and ranked in the bottom third of the group for touring comfort. However, we are not interested in the most comfortable” bike. The new cockpit is comprehensive and easy to see in all conditions. Navigating menus is relatively intuitive, our only complaint being that setting needs to be reset with each ignition restart. 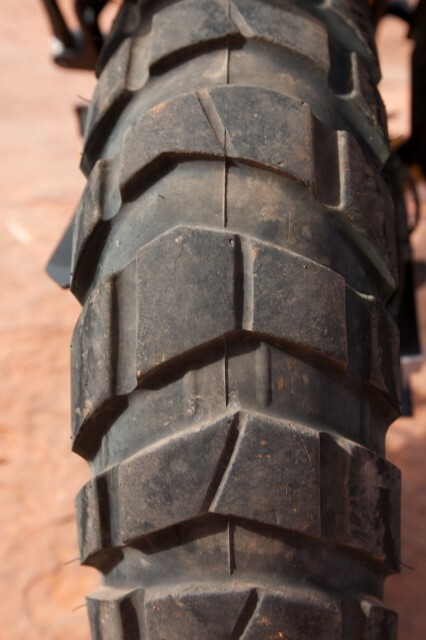 The KTM dominated in the dirt. 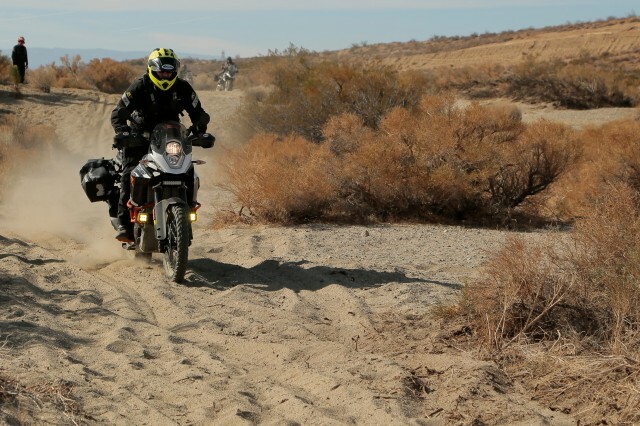 Systems worked in concert to propel the 1190 through sand, up steep climbs, and over rock gardens and ledges like a much smaller bike. 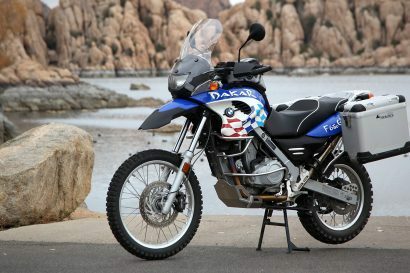 The 21-inch front wheel, 9 inches of well-tuned suspension travel, and lighter weight (70 pounds less than the Super Ténéré) allowed it to clear obstacles that knocked other bikes off line. Another improvement is better steering lock for tighter turning. 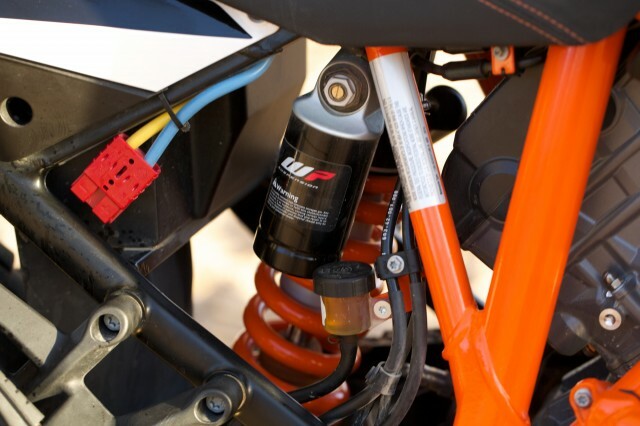 Traction control, which includes Sport, Street, and Offroad modes, is effective and on par with that of the 1200 GS, and the ABS Offroad mode provided the best dirt performance. The only annoyance was the need to turn everything off with each key cycle. 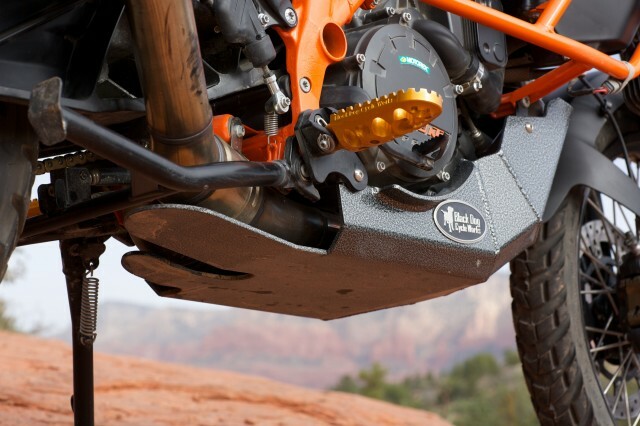 For protection, Black Dog Cycle Works (BDCW) started with their new extreme-duty skid plate that also integrates side stand relocation. 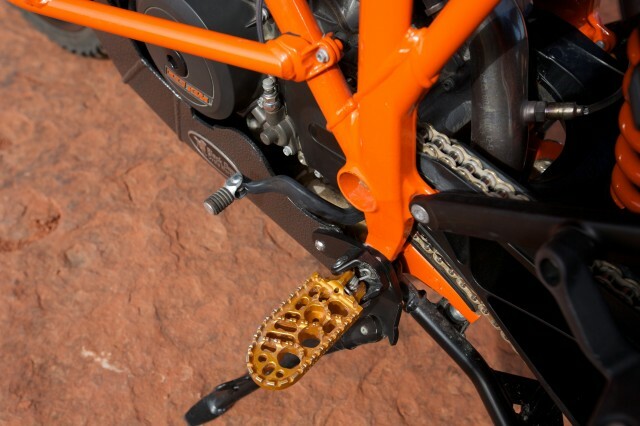 Moving the side stand is critical to protecting the motor casting from damage. The skid plate is a serious piece of kit, and looks as suitable for taking a hit from an IED as it is a rock. Additional protection comes from the full-coverage radiator guard. Addressing ergonomics and control, wide BDCW platform pegs were fitted and significantly improve leverage in technical terrain and reduce pressure on the base of the foot. Standing comfort was also improved with a 40mm bar riser. 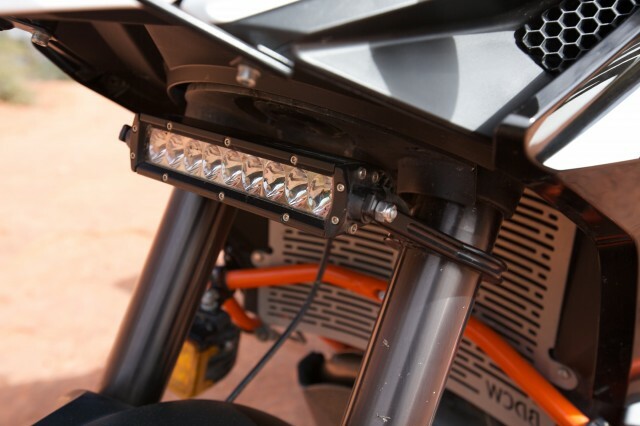 To illuminate the trail and improve safety on the roads, Kurt installed a 6” Rigid SR2 LED light on their BDCW fork light mount and additional Rigid D2 LED lights with amber covers on the engine bars. 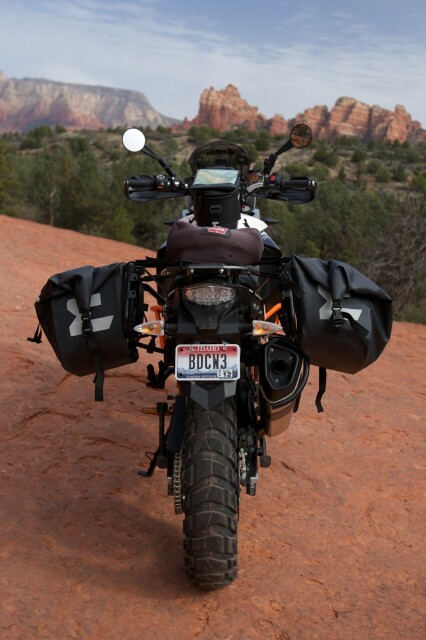 For luggage, Black Dog exclusively uses Enduristan equipment, including the 25 tank bag and a pair of Enduristan Monsoon2 saddlebags mounted to Hepco Bekcer pannier frames. I like the Enduristan bags for their clean design and durable construction. Wrapping up the modifications is a Hepco Becker headlight guard, a Warn XT17 mounted to the BDCW multi-function rear rack, Doubletake mirrors and a set of Karoo 3 tires. I thought a motorcycle winch was silly until I spent two hours digging a GSA out of the snow. 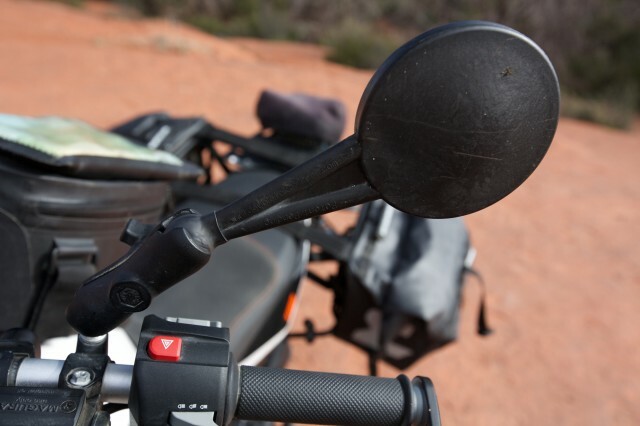 . .
Strong and foldable, these Doubletake mirrors are a wise modification for trail use. 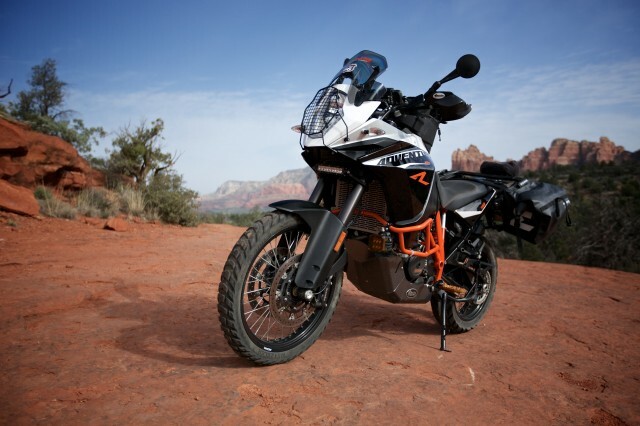 With an emphasis on performance and safety, the KTM 1190 Adventure R is exactly what an overland motorcycle should be. It is fast on the road, highly competent in the dirt, and is the first adventure motorcycle with MSC (Motorcycle Stability Control). 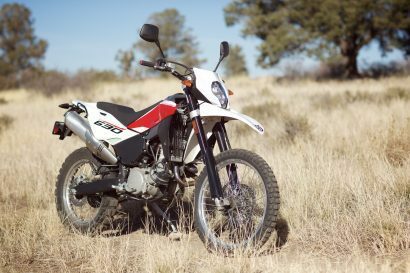 Though it’s a little unruly on the pavement, the premium suspension, traction control, multi-mode ABS, power, and comfort in the dirt make up for it. Fuel economy, observed at 48 mpg (middle of the pack but an improvement over the 990) and the service interval extended to 9,000-plus miles. 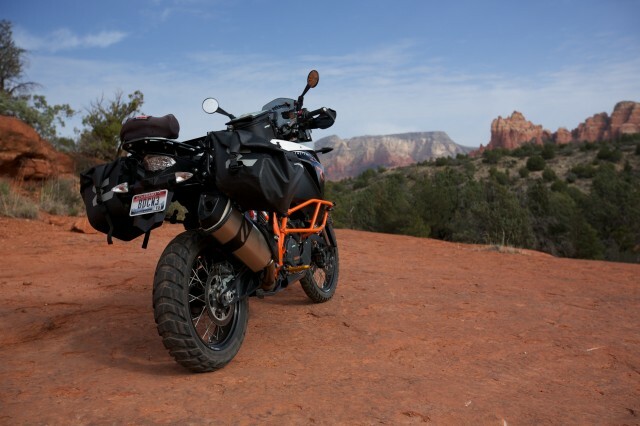 It was the highest performing bike in this test and the one most capable of taking on anything adventure travel can send its way.